Aviation Updates Philippines - Flag carrier Philippine Airlines recently acquired a state - of - the - art Cabin Fire and Smoke Trainer (CFST) - a special structural equipment simulating inflight fire scenarios. NEW CABIN CREW TRAINING FACILITY. 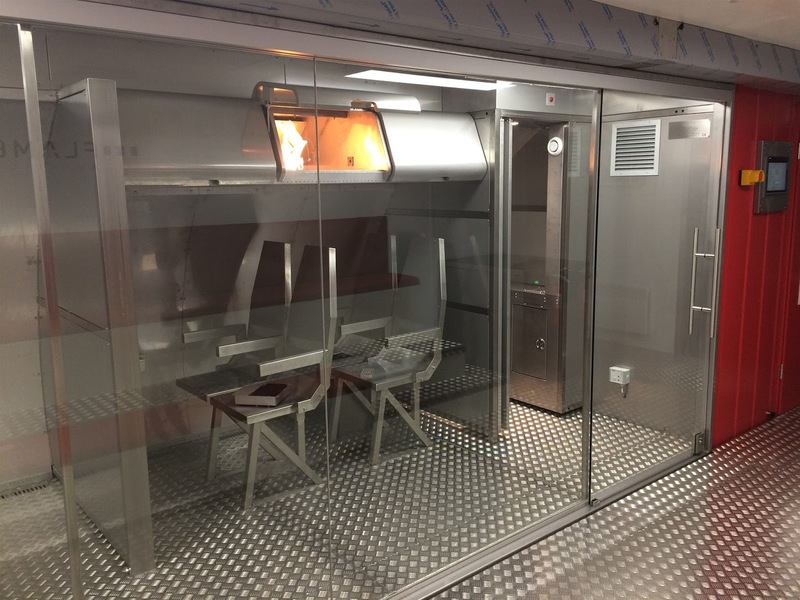 Philippine Airlines' new Cabin Fire and Smoke Trainer will improve the airline's overall safety rating since cabin crew and pilots will be equipped with more capabilities in dealing with emergency situations. Photo by Flame Aviation.